DAVID LE/Staff photo. 6/11/15. 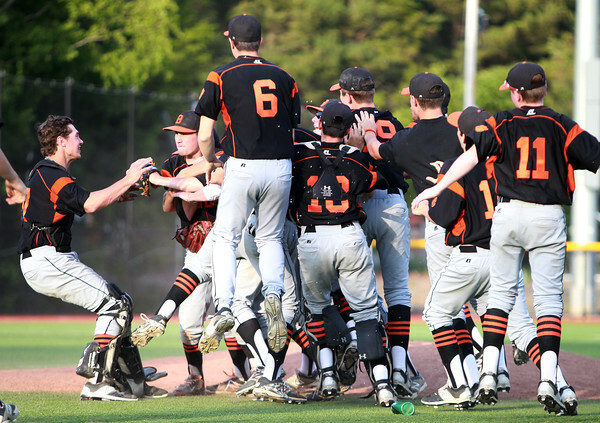 The Beverly Panthers storm the field at Endicott College after they took down reigning state champion Masco 10-7 in extra innings to advance to the D2 North Final and will face NEC foe Danvers on Saturday in Lowell.